The rumors are true, y’all. The Flocabulary mobile app is now available to download on iOS and Android, and is compatible on both phones and tablets! 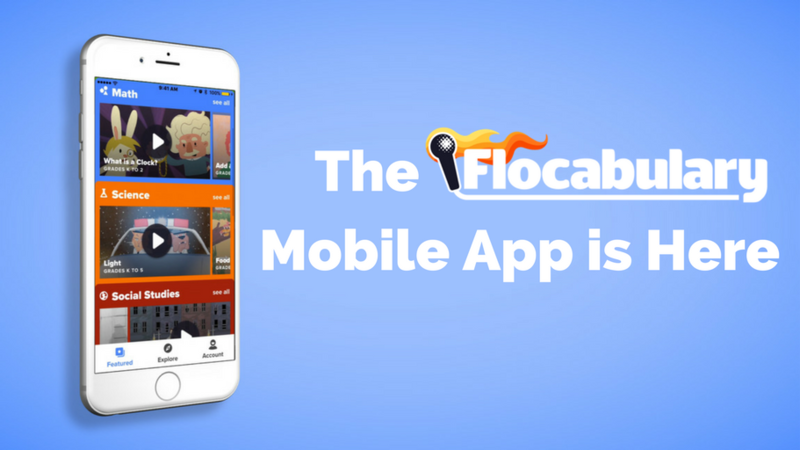 The mobile app is built to bring Flocabulary outside of the classroom, where kids and teens can browse Flocab’s 900+ units on their own time. We’re excited to launch our mobile-exclusive vocabulary challenge activity, too! The Flocabulary mobile app is a great way to bring our library of 900+ educational hip-hop videos to children anytime, anywhere. We offer a handful of free videos with every download, and all units are available for parents through our mobile plan ($1.99/month). All teachers and students who have their own Flocabulary account can access the mobile app for free. Simply download the app and log in with your Flocabulary.com email and password (Google and Microsoft single sign-on is supported!). The subscriber (i.e. the teacher) will have access to the mobile app at no additional cost. Simply log in to the mobile app with the email address and password used to log in to Flocabulary.com to get started. All teachers and students who have a Flocabulary account can access the mobile app for free during the trial period. If the trial expires and a subscription is not purchased, you’ll have the option to start a 1-week trial the next time you use the app. Have questions? We’ve got answers. Check out our FAQ page for even more details and information on the Flocabulary app. We are thrilled to make Flocabulary more accessible for kids and teens at home on mobile devices. We’d love to hear what you think about the app! Send us any and all feedback to info@flocabulary.com, and make sure to leave a rating and review in the app store!